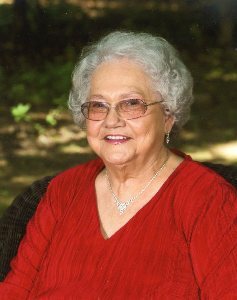 Willa Ruth Butler Bryant, age 88, of Lawrenceburg, TN passed away Tuesday, March 19, 2019 at Keestone Senior Community in Lawrenceburg, TN. She was a retired cosmetologist, and a member of Pulaski Street Church of Christ. She was also a member of the Professional Women's Club and Republican Women's Party. Born Sunday, May 4, 1930 in Lawrenceburg, Tennessee, she was the daughter of the late Homer Butler and the late Louise Moore Butler. She was also preceded in death by her husband, Donald Stribling "Link" Bryant; sister, Jewell Bryant; and brother-in-law, Coolidge Bryant. Surviving are daughter, Judy Bryant of Lawrenceburg, TN; grandchildren, Brad Rochelle (Allison), Jennifer Self, Bryan Rochelle (Katrina), and Lindsay Slater (Wade); and great-grandchildren, Dylan Self, Hunter Rochelle, Carson Rochelle, Molly Slater, Madi Slater, Carly Rochelle, Cassie Rochelle, and Cannon Rochelle. Arrangements are being handled by Neal Funeral Home, 231 N. Military Avenue, Lawrenceburg, Tennessee. The family will receive friends from 5:00 PM to 8:00 PM Thursday, March 21, 2019 at Neal Funeral Home. Funeral services will be conducted at Neal Funeral Home at 1:00 PM Friday, March 22, 2019, with Jacob Evans officiating. Interment will follow at Pleasant Grove Cemetery in Lawrence County, TN. Family suggests memorials be made to the Alzheimer's Association.